Valentine’s Day is once again drawing near. For many, this is an occasion for an extravagant chocolate dessert. 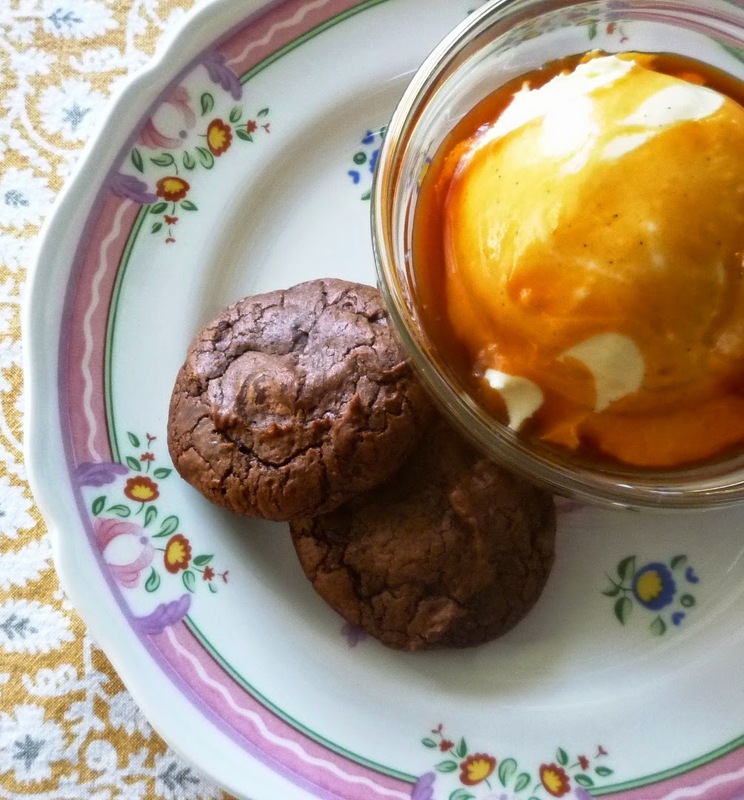 I admit that I’m not a fan of big, rich chocolate desserts…. Desserts with names that include modifiers like “death by”, “outrageous”, “oblivion”, “insanity”, “wicked”, “indulgence”, etc.…. are totally unappealing to me. If I’m going to eat a chocolate dessert, I want it to be deeply chocolate…not too sweet….and preferably served in small portions. 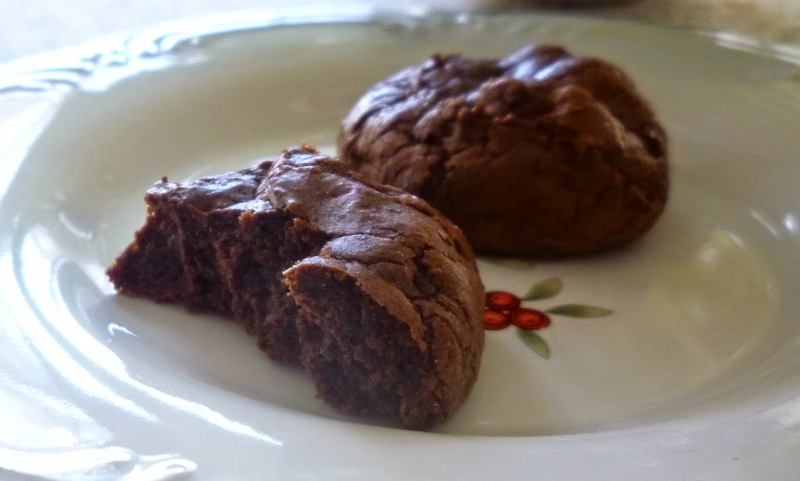 To me the perfect chocolate dessert is a creamy, perfect little pot de crème… a small sliver of a rich chocolate tart… an elegant soufflé cake… a miniature brownie square… or one or two of the chocolate truffle cookies I’m posting today. These little cookies might not look very special, but you should not let their plain and demure appearance fool you into thinking that they are plain and demure when it comes to taste. Just like the chocolate truffle after which they are named, these dark and rather unpromising looking lumps pack a wonderfully deep chocolate punch. 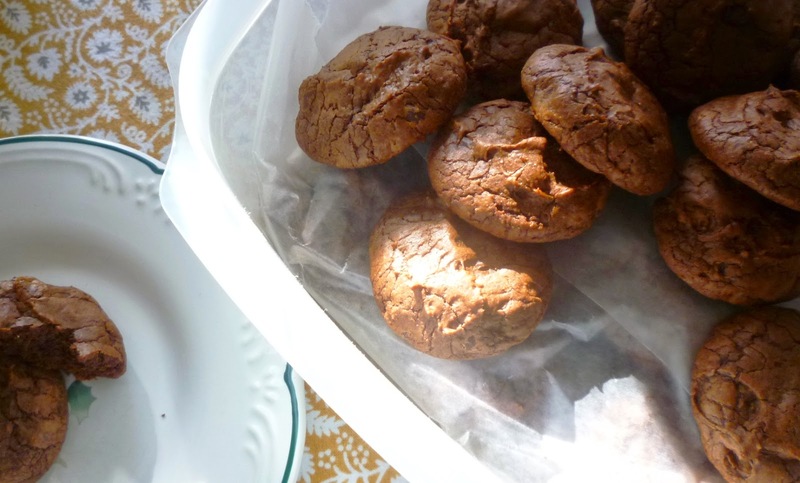 If you love chocolate, these cookies will probably become a favorite. 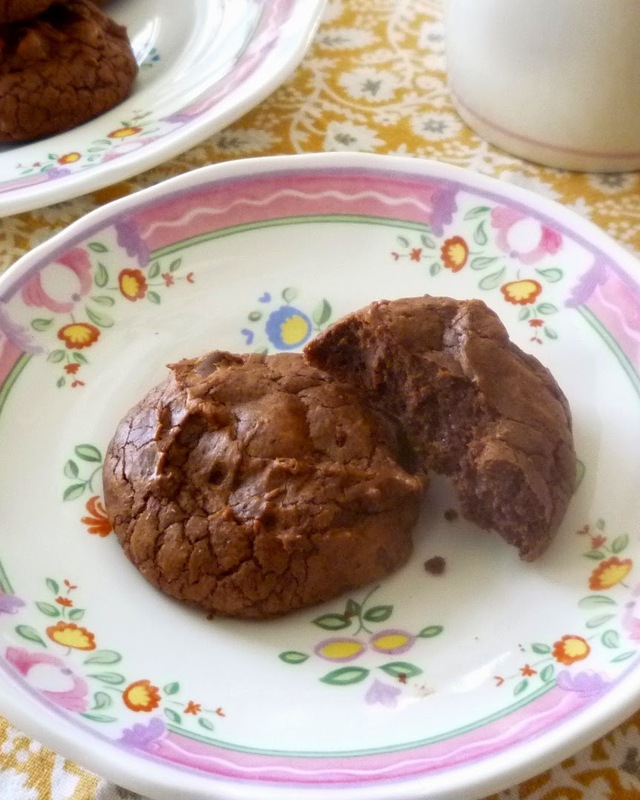 I found the recipe for these cookies in a December issue of Gourmet magazine many years ago. I have been teaching them in one of my Christmas cookie classes for almost as long. They are so special that I have kept them in the class even though the forming of the cookies is a bit of a tedious process. The original directions simply instruct you to chill the dough until it is firm and then to use dampened hands to roll heaping teaspoons of dough into balls. This is not as easy as it sounds. The chilled dough is quite firm…and contains hard chocolate chips…so it is difficult to portion uniformly. Rolling the portioned dough into balls requires that you regularly rinse your hands to clean off the dough that adheres amazingly well to your palms…despite the fact that they are damp. Furthermore, if your hands are too damp, the dough slips and slides and resists forming a ball…if your hands aren’t wet enough, the dough sticks to your hands to the point of being unmanageable. It was not until this year that I came up with a better way to portion and form these cookies. I discovered the new method entirely by accident. In the past I have always just followed the directions in the recipe to chill the dough—which, when freshly made, is really more like a cake batter than a cookie dough—right away. For some reason when I made the dough this past Christmas, instead of immediately pouring it into a clean container and transferring it to the refrigerator, I left it in the mixing bowl on the counter for a few moments while I finished up a few other tasks. When I returned to it, I discovered that at a cool room temperature (68°F) the dough had set up so that it was soft and mounding and held its shape when scooped. So, instead of chilling the dough, I grabbed my cookie scoop and scooped the batter into mounds on a parchment lined sheet. I then chilled the sheet pan of scooped dough. 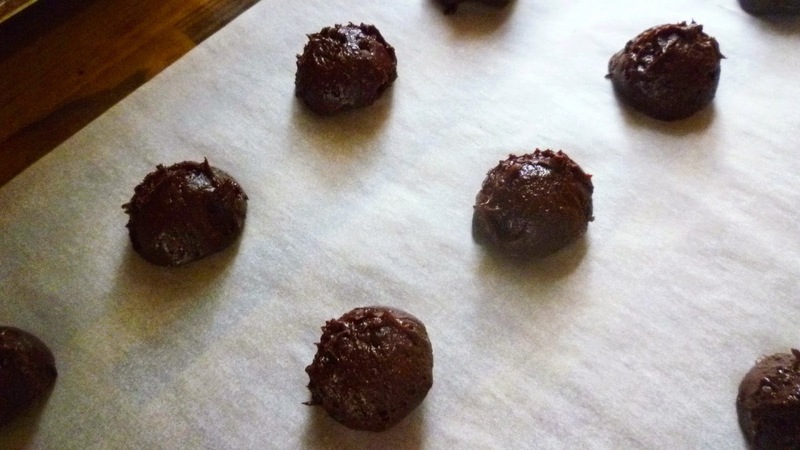 Once the scooped cookies were firm enough to handle, it was super easy to roll them into smooth little balls (using lightly dampened hands) and bake them. As I have thought about it, this method should have been obvious to me from the beginning. The dough is made with melted butter and a large quantity of melted chocolate. 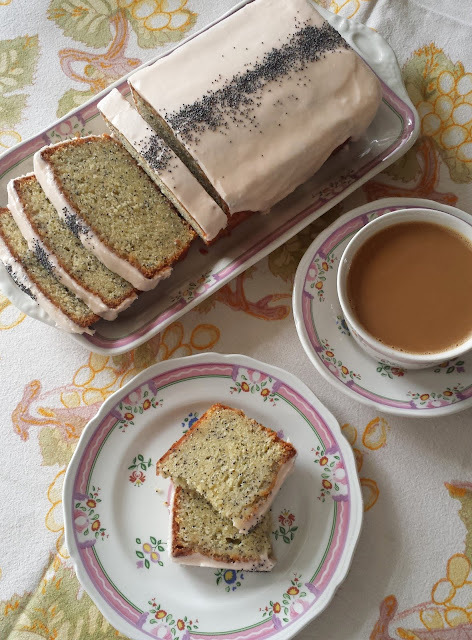 Since both of these substances are solid at room temperature, it makes sense that they would firm up rather quickly at room temperature….particularly when combined with other, cooler, ingredients. Since Christmas I have been wondering if the dough could simply be scooped and baked right away (without the chilling step). I had a little extra time this weekend….and my "cookie jar" was bare….so I decided to give it a try. To my delight, I discovered that it works beautifully this way. The exterior of the cookies that are scooped and baked immediately are a little rough in comparison with those that are chilled and rolled, but they have the same moist and dense interior. How you choose to prepare them will depend on your time frame (do you need them for a dessert tonight?) and the setting in which they will be consumed. When making this for a Christmas cookie platter…or as part of a dessert tray…and a neat, perfectly round cookie is the goal, it would be best to chill and roll them before baking them. I should mention that these cookies are especially delicious when consumed within a few hours of baking. At this point, the chocolate chips are still pleasantly soft. With this in mind, my next experiment with these cookies will be to scoop the dough, chill it, roll it into balls and then freeze the unbaked balls of dough. 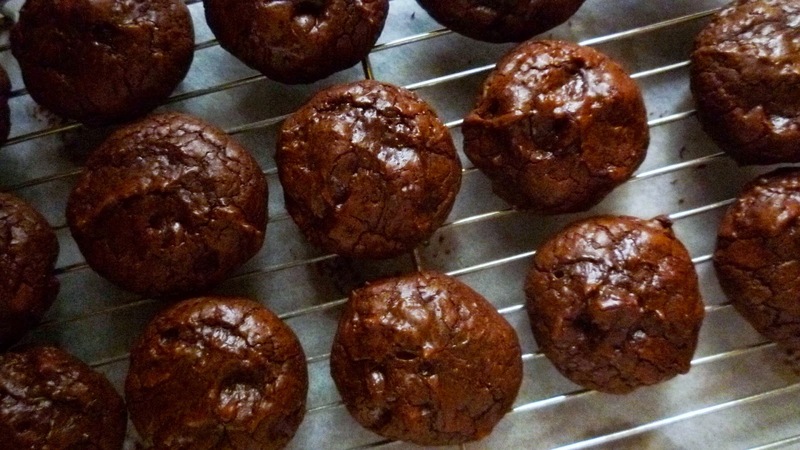 This will then allow me to bake only a few at a time…making it possible to enjoy a small portion of truly delicious chocolate….any time the mood strikes. Melt the unsweetened chocolate, butter and half of the chocolate chips in a heavy saucepan over very low heat (or in the microwave in a microwave safe bowl), stirring occasionally. Set aside to cool. Combine the flour, cocoa, baking powder and salt. Set aside. Using a stand mixer fitted with the whisk attachment, beat together the sugar, eggs and vanilla until pale and very fluffy (about 2 minutes at high speed). Mix in the melted chocolate mixture. Sift the dry ingredients into the bowl and fold until just combined. Stir in the remaining chips. Let stand at room temperature until the mixture sets up enough to be scooped and hold a mounded shape. If your kitchen is cool…and your eggs were refrigerator cold…this will only take a few minutes. Portion the dough using a small cookie scoop (see note). Scrape the scoop against the bowl to make level, evenly sized scoops. Arrange the scoops of dough on a parchment lined baking sheet, spacing 1 1/2 inches apart. Bake in a 350° oven until puffed and just set—do not over bake! The cookies are done when the dough has lost its wet shine and the cookies have puffed slightly. Start checking at about 7 minutes. Immediately slide the parchment off of the baking sheet and onto wire racks to let the cookies cool completely. Makes 4 to 6 dozen—depending on the size of your scoop. 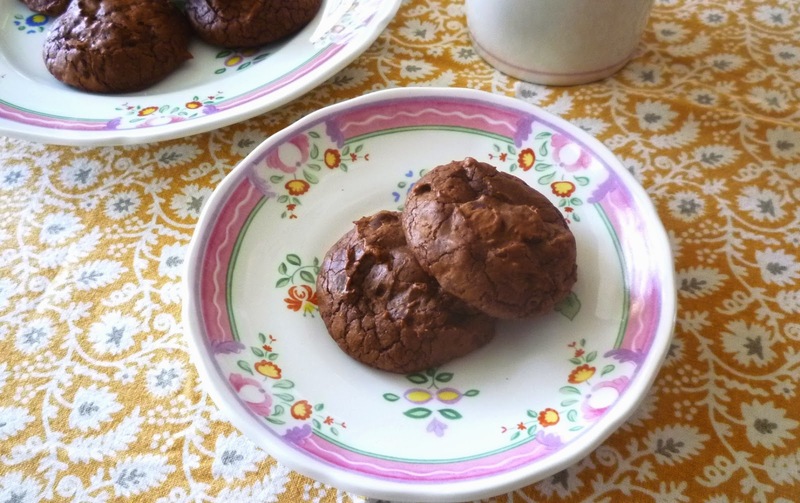 I make these cookies with Ghirardelli unsweetened (100 %)…it comes in convenient 4 oz. bars, Ghirardelli semi-sweet chips (the 60% are a bit too strong in this cookie), and Hershey’s Cocoa. But any good brand of chocolate will work. The cookies may be scooped and baked right away, or scooped, chilled and then rolled into smooth balls once the dough is firm enough to handle. If chilling the dough, place all of the scooped dough onto a single parchment-lined cookie sheet. It’s OK for the cookies to be quite close together since they will not be baked on the sheet they are chilled on. Bake the chilled dough exactly as you would the freshly scooped dough.